If It's Too Loud...: Loma - "Relay Runner"
Loma is a newly formed band of people you're already familiar with: Jonathan Meiburg of Shearwater and Emily Cross and Dan Duszynski of Cross Record. 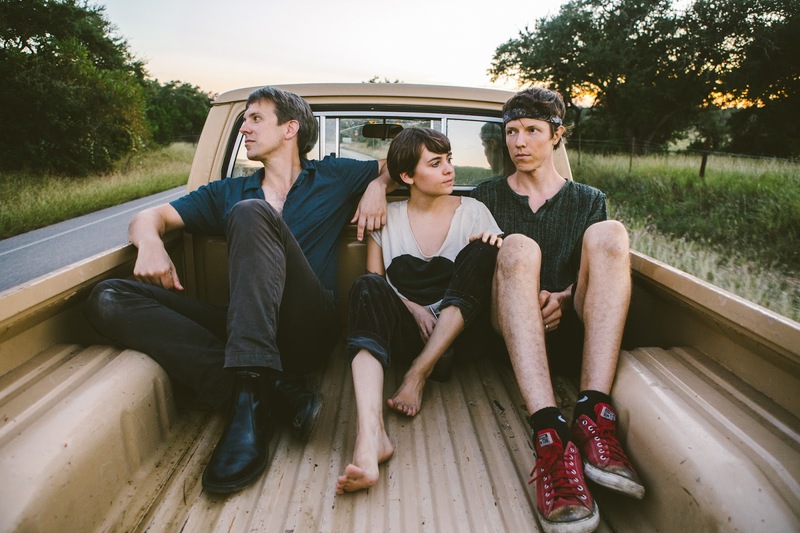 The three musicians got together in a house in Texas to create their debut self-titled album. While Emily Cross sang the songs, all three ended up playing every instrument involved in the recording at some time or another. Also, it was an odd time to be recording an album, as Emily Cross and Dan Duszynski started off the project as a married couple but no longer were at the end of the recording. "Relay Runner" is an oddly charged song. It plods around with it's own pace, and comes across like Wilco experimenting with more electronics while trying to recreate their Yankee Hotel Foxtrot days. Instruments seem to come in and out of their own free will, almost taking turns but not quite. It creates a sound that's not quite challenging art rock or alternative pop, but straddles the middle somewhat. You can watch the video for "Relay Runner" below. Loma's self-titled debut album will be out February 16 on Sub Pop, and can be pre-ordered here. For more on Loma, check out their website. Their current tour dates are below the video.